A European Commission review of employment and social policies shows that countries which had reformed their labour markets and invested in human capital proved to be more resilient during the economic crisis. The Commission’s review, published on Thursday (15 January), looked into the lessons that could be learnt from the recession. It found that the negative impact on employment and incomes was smaller for countries with more open labour markets and stronger investment in lifelong learning. 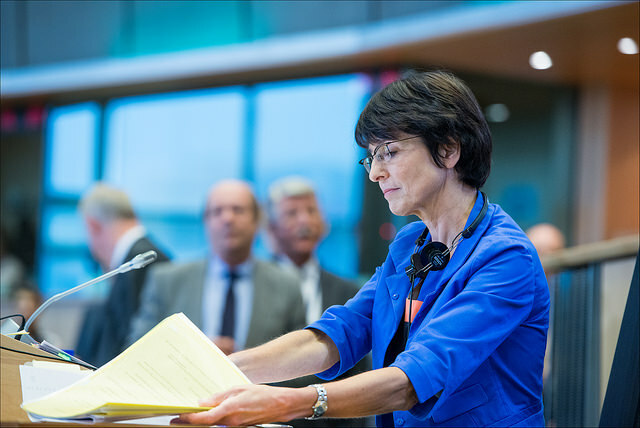 “This report helps us to draw lessons from the past,” Marianne Thyssen, the EU Commissioner for Employment, Social Affairs, Skills and Labour Mobility, told a press briefing in Brussels. “It shows that some member states were much more resilient to the economic shock that others. Some have more open and less segmented labour markets like Denmark, Austria, Sweden and the Netherlands. They are the ones that have shown bigger resilience to the crisis. They make great use of lifelong learning and activation. In these countries, unemployment benefits tend to be widely available, linked to activation and responsive to the economic signs,” the Commissioner continued. Thyssen said job creation requires structural reforms, for example reducing labour costs for low-skilled workers and young people. But so-called social investments are also helpful during economic downturns, as they help people reach their full employment potential and adequate protection throughout their lifetime, Thyssen said. For example, countries such as Malta, Luxembourg and the Netherlands, which have invested in early childhood education, have demonstrated a significant increase in the employment rate, the Commissioner said. According to Eurostat, the statistical office of the EU, the euro area’s seasonally-adjusted unemployment rate was 11.5% in November 2014, stable compared with October 2014, but down from 11.9% in November 2013. Overall, the unemployment rate in the 28 EU member states reached 10.0% in November 2014, down from 10.1% in October 2014 and from 10.7% in November 2013. Youth unemployment reached 21.9% in the EU and 23.7% in the euro area, compared with 23.2% and 23.9% respectively in November 2013. This means that 5.1 million young people under 25 are unemployed in the EU, compared with 3.4 million the euro area. In order to get more people to work, this year, the Commission will implement the youth investment plan and try to mobilise €315 billion for its proposed investment plan, which can allocate money for strategic areas such as education, research and innovation as well as support for risk finance for SMEs. Two months after launching its €315 billion investment plan, the European Commission pushed forward mid-January a modus operandi for a fund that is supposed to jumpstart the European economy while giving member states more margin for budget manoeuvring if they invest and push through proper structural reforms. The European Fund for Strategic Investment (EFSI) will be established in close partnership with the European Investment Bank, whose representatives will sit in a newly formed Steering Board, which will decide the overall orientation and investment guidelines. An investment committee, made of independent experts will vet specific projects, and will be accountable to the Board. End 2015: The Commission to adopt the labour mobility package.